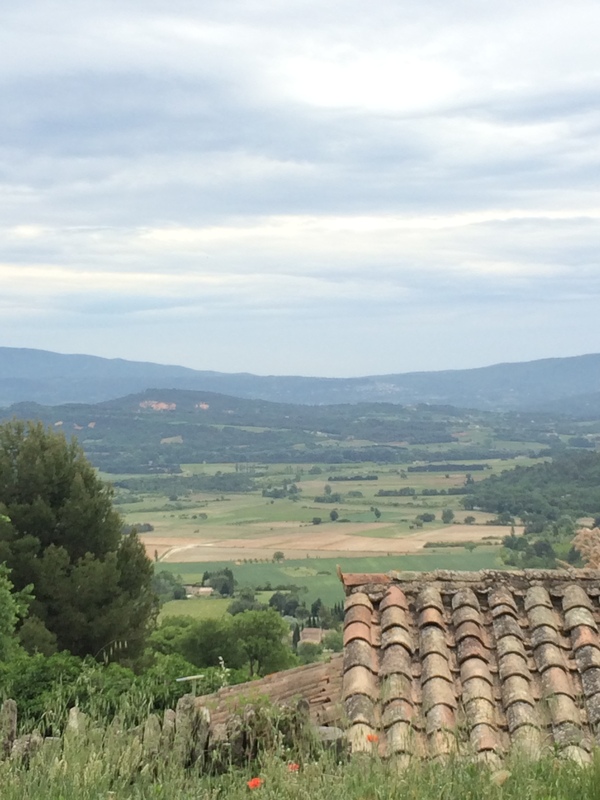 Having not quite managed to get to Roussillon yesterday afternoon I thought I would head there today, via Coustellet for breakfast (from the, always excellent, Fournil D’Antan Boulangerie on the main road through the town) & St Pantaleon and then come straight back & perhaps head to Avignon this afternoon. Once again the best laid plans soon were thrown out of the window, when I happened across the Boulangerie in the centre of Maubec, where I stopped for a very good Pain Au Chocolate and had a nice chat with the owner, who suggested I put a loaf aside for the evening as they tend to run out. 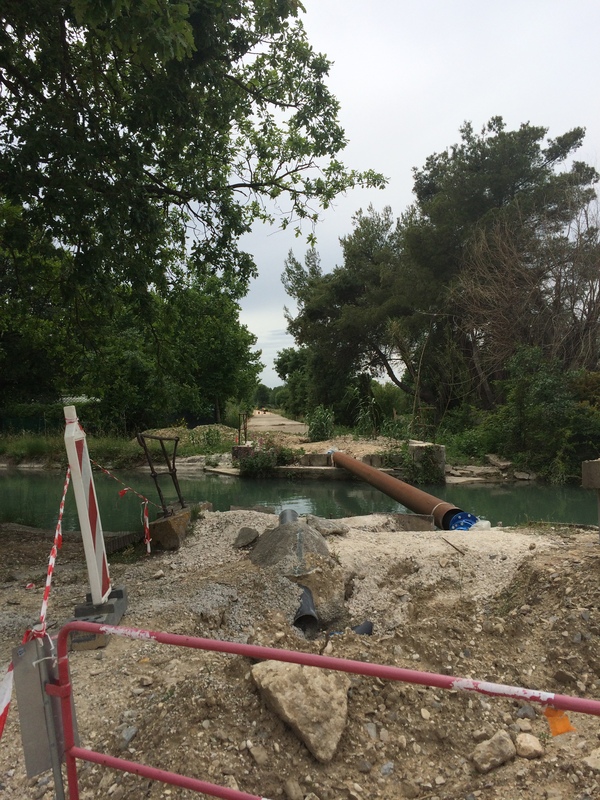 So my plans changed & instead of heading towards Coustellet I found my way onto the Veloroute Du Calavon & cycled on towards the old Roman bridge of Pont St Julien, which crosses the Calavon river just below Bonnieux. 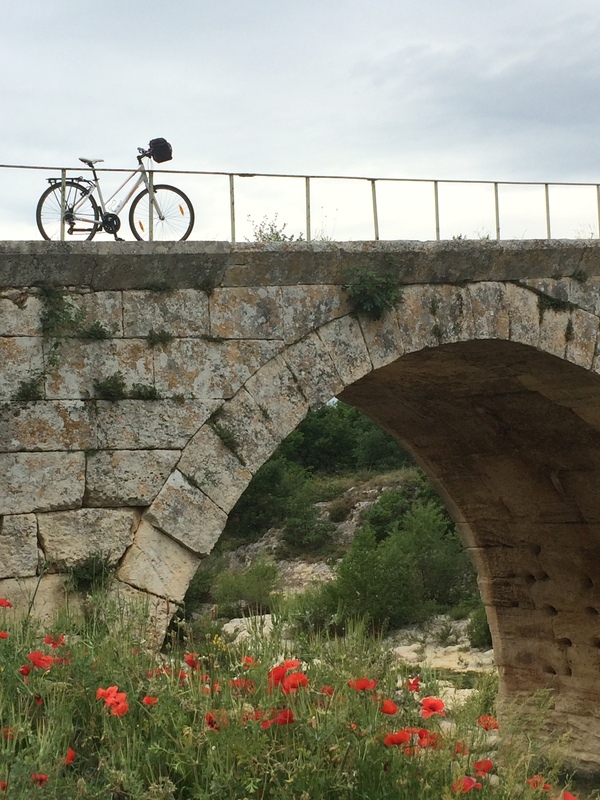 This ancient stone bridge lay on the Via Domitia and is one of the largest of its type, with a central arch of just over 16 metres – it is now closed to vehicles, but remains the Veloroute’s crossing point of the river as it makes its way along the valley floor. Now I know the weather wasn’t as warm as it has been over the last few days, but I must admit I was rather shocked to see a jogger making her way along the cycle path, wearing a Fleece, body-warmer and scarf – it really wasn’t that cold. I can’t even begin to imagine what she was thinking when I pottered by in a short-sleeve cycling top & shorts!! So after a brief stop at Pont St Julien I started the climb up to Roussillon via Les Huguets, taking a quick look at the newly extended Coquillade Hotel as I went (it really does look incredible now – not that it didn’t before). 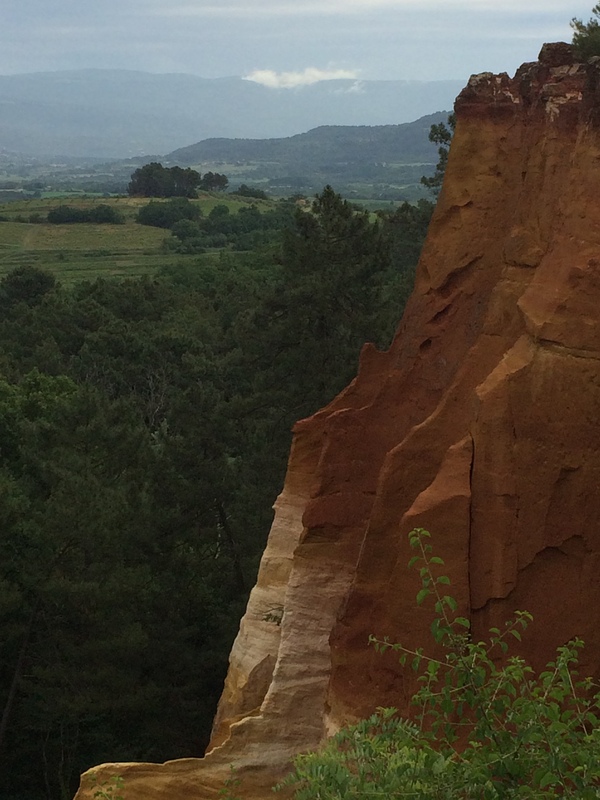 The climb up to Roussillon was lovely and gentle with the earth at the side of the road quickly showing its ochre hues as I made my way up. Also the scents were delightful, a heady mix of wild herbs, pine & broom, which is in full bloom at the moment, with the verges almost taking on the look of a wild herb-garden. I always enjoy arriving in Roussillon, the colours of the buildings and surrounding rocks are always vivid, whatever the time of year or the weather and today was no exception, despite the heavy clouds. After buying a much-needed brioche from the Boulangerie I sat in the Café Des Couleurs on the main square for a coffee, which turned out to be well-timed as it started to rain a little, but I was dry under the awning, so could indulge in a bit of people-watching. I did have to smile though at the resident cat, who was very firmly asleep on his windowsill opposite. 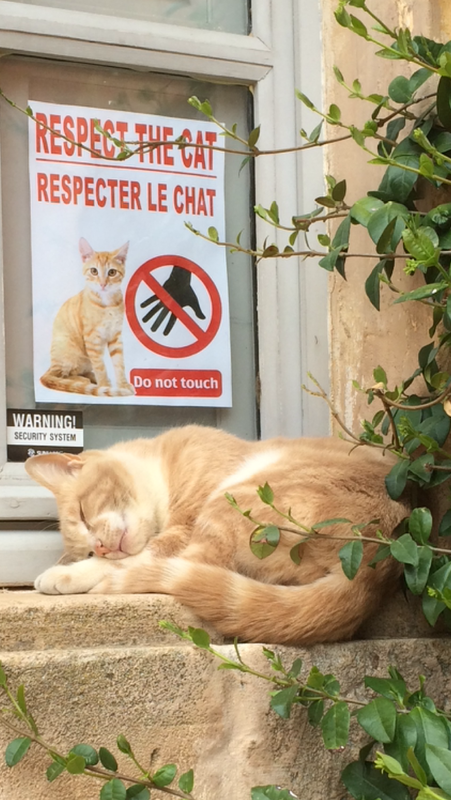 There can’t be many cats who have their own ‘respect’ signs to stop them being pestered by over-loving tourists – it was clear from the way it was sleeping and the reaction of people who walked over that the sign was having the desired effect. 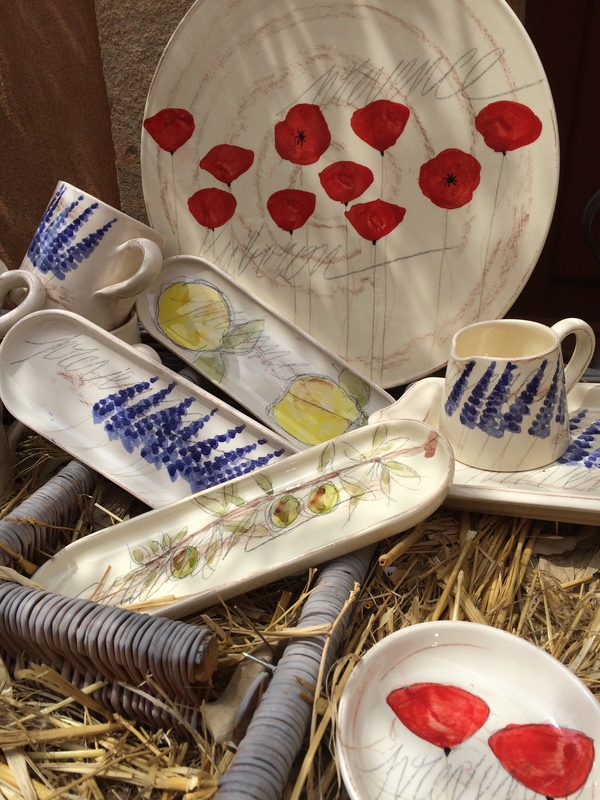 Of course, whilst I was there I had to pop into ‘Marchand De Couleurs’, a great little pottery at the entrance to the village, just to see what new things they had to tempt me. I still love their Lavender & Olive tableware, but decided that buying some to carry home on the bike was a recipe for disaster, & resisted temptation. 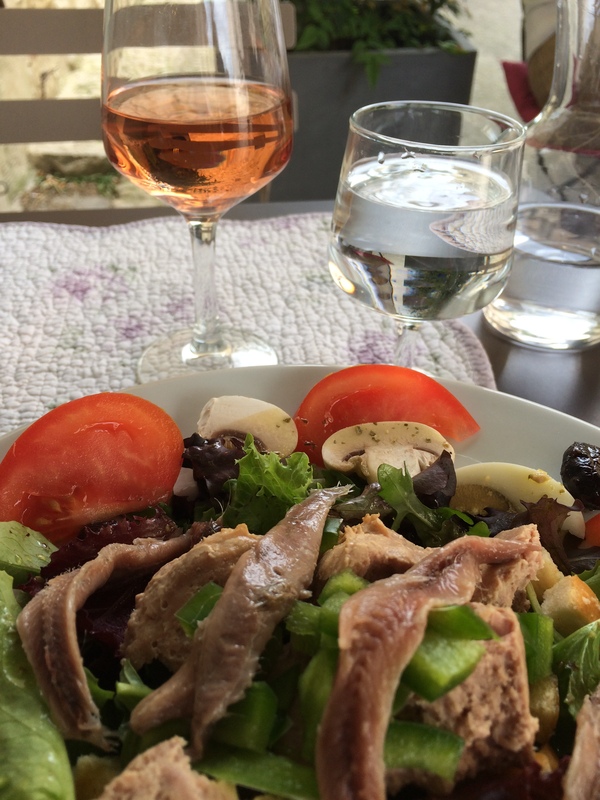 By this time the weather had improved slightly, so rather than taking a quick route back & pottering into Avignon, I headed on towards Gordes for a late lunch. 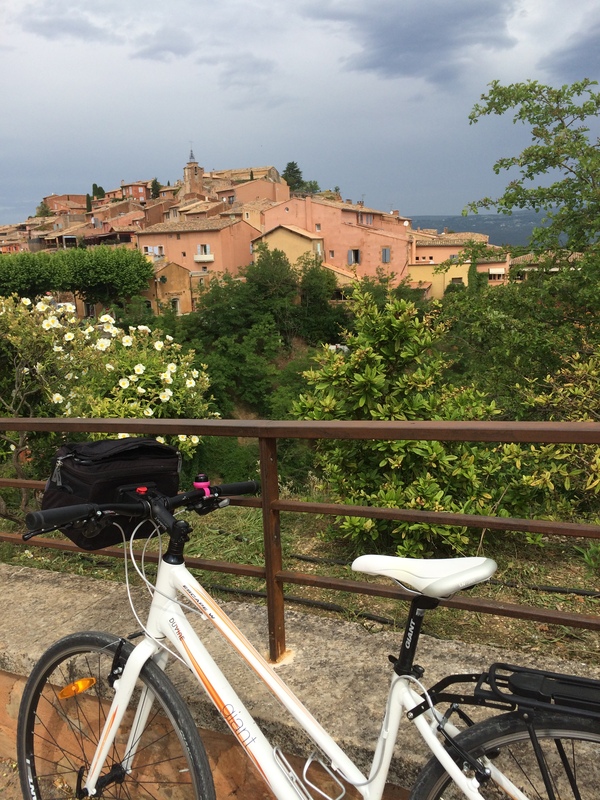 The downhill route from Roussillon is sinuous and great for free-wheeling through fields of poppies and lavender plants, the child in me just wanted to shout ‘weeeeee……..’!!! I have to say that on this occasion lunch was certainly worth the effort. 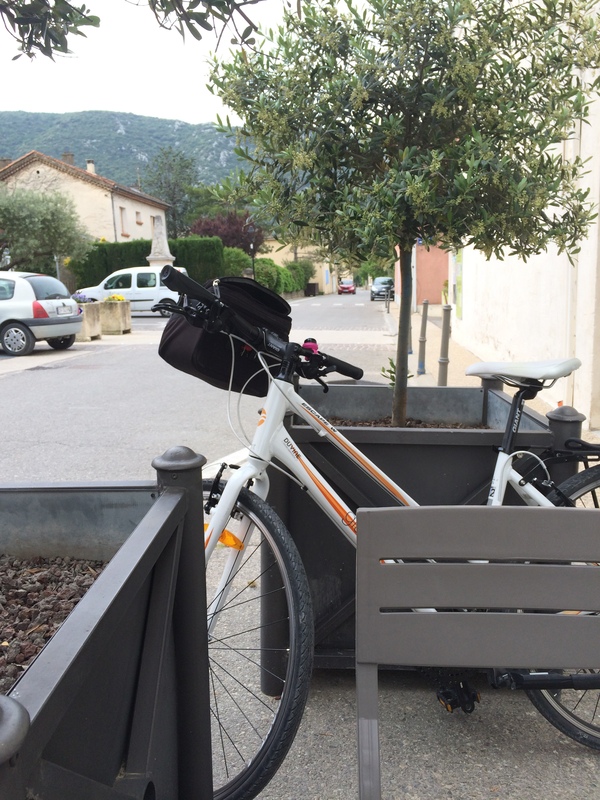 So another day & another cycle done – I understand that the Mistral will be blowing again tomorrow, so I may give the cycling a rest & potter over towards the market at Saint-Remy for a change, but I will probably just wait to see what way the wind is blowing when I wake up and make my decision then. Bloody hell, I have pastry envy now as well.